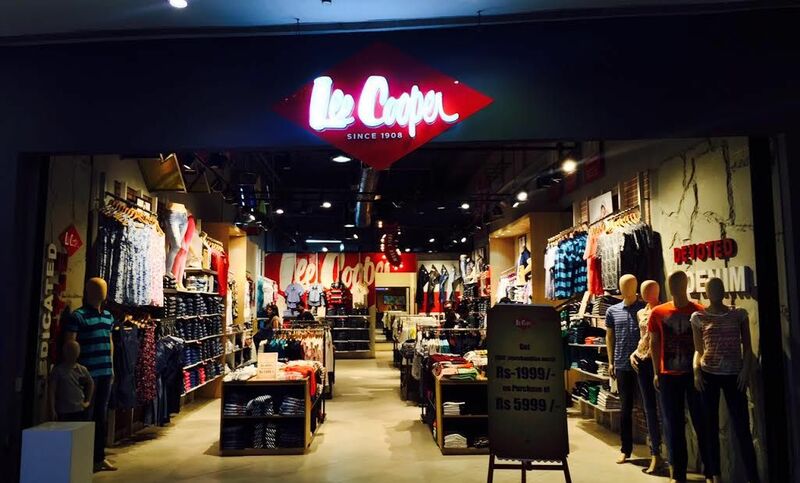 Lee Cooper India recently launched their Spring Summer’ 15 Collection & you are going to get a special peak into the collection with The Style Chair. So, this opportunity of checking out Lee Cooper’s Summer Collection was given to me by POPxo (Oh! did I miss mentioning I’m now on the POPxo Blogger Network 😀 ). I am going to be talking about the whole experience with Lee cooper’s Spring Summer Collection here on the Blog. What was the Lee Cooper SS’15 Collection about? A lot of thought has gone into Lee Cooper’s SS’15 Collection. But basically, the Lee Cooper’s SS’15 collection was inspired by the 50’s voyagers & their fashion with denims, feminine shapes & pretty English floral prints being the highlight of their inspiration. Not only talking about women’s fashion but I was impressed to see denims in shades of black, navy blue, faded denims & even acid wash denims for Men too. They even had ripped denims which every single person is now flaunting around. What gave that blissful summer feel at the store were the Whites. Summer time ‘getting your whites right’ is an absolute must for me (I just did four summer white looks in the previous post too). There were white denims, white floral dresses, white half sleeved shirts, white lacey tops, white sheer tops too. Lee Cooper did absolute justice to the whole ‘Summer white’ trend & that is when I was absolutely floored. What won my heart from Lee Cooper’s SS’15 Collection? The signature peasant tops with smocking/tucks/tie-ups. Core range in vibrant shades and simplistic styles. Mix of fabrics/knit-woven combos/ denim-print combos. Different techniques of dyeing such as dip dye, over dye and tie ‘n’ die. New & unique collections excite me but I contained myself & came down to choosing six garments so I could put together four different looks for you. Thank you Ashish Gurbani for the photography & conceptualising the shoot. He is quite THE Photographer in Pune. Feast your eyes at www.ashishgurbani.com. You can also follow him on facebook by clicking here. Here’s a look at what were my favourites from the Lee Cooper SS’ 15 Collection & how I have styled all the looks with my own personal touch. Floral & tie up made a perfect choice for a summer top. Oh yes! These pink pants definitely gave the look that cuting edge with the ombre effect. The denim look & the different dyeing techniques that was has been used wisely in this SS collection by Lee Cooper is evidently seem in this look. Sundress are the wat to go in the summers. It feels so airy & comfortable for not being clingy. Lee Cooper’s cotton cool material didnt even make me feel uncomfortable while shooting in this summer heat. The only suggestion I would give is to try on a garment well before trying as the fittings of Lee Cooper are slightly different. I had an absolute blast with the whole Lee Cooper experience & I definitely suggest all of men & women to go check out the SS’15 collection at the Lee Cooper stores all over India.